‘In my opinion, Lucilius, excellent man, the difference between philosophy and other areas of study is as great as the difference, within philosophy itself, between the branch concerned with humans and the one concerned with the gods. The latter is more elevated and more noble; it allows itself immense scope; it is not satisfied with the eyes; it suspects that there is something greater and more beautiful that nature has placed beyond its sight. (2) In brief, the difference between the two is as great as the difference between god and human beings: the one branch teaches what should be done on earth; the other what is done in the heavens; the one dispels our wrongdoings and brings a light up close to us so that the uncertainties of life can be clearly discerned; the other rises far above the darkness in which we stumble around, whisks us away from the shadows, and leads us to the source of light’. 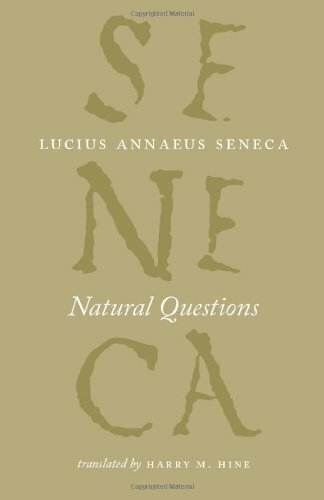 – Lucius Annaeus Seneca, Natural Questions (trans. 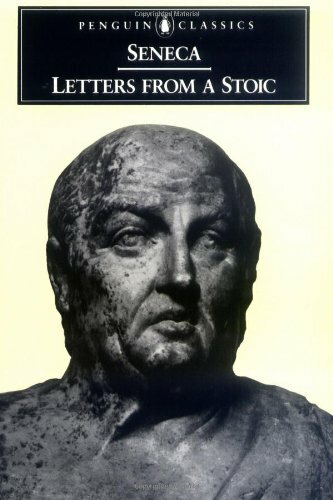 Harry M. Hine; The Complete Works of Lucius Annaeus Seneca; Chicago: The University of Chicago Press, 2010), 136. 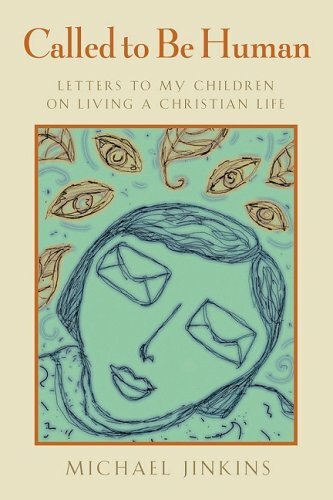 In his book, Called to Be Human: Letters to My Children on Living a Christian Life, Michael Jinkins tells of a letter that he received from a young minister. [BTW: I highly recommend Jinkins’ wonderful wee book, Letters to New Pastors]. This young minister recalls how he loves being a pastor, but is struggling to find his way through a long and bitter church conflict. Meanwhile, a variety of routine pastoral crises keep nipping like Chihuahuas at his heels. And, in the midst of all of this, he and his young wife are coping with the wondrous and life-changing event of the arrival of their first baby. The letter went on to highlight that his life had become so off kilter that he had almost completely lost the joy he knew when he entered the ministry. Jinkins’ response was to recall that ‘learning to live a balanced life is never easy, and even joyful events can sometimes contribute to life’s crises. But finding balance in the life of ministry – and this includes the preparation for ministry – is one of the greatest challenges of this vocation’. Jinkins cites Calvin’s view that ultimately it is our calling that sustains us in ministry. ‘But sometimes it is hard to sort through the accumulation of life’s debris, the flotsam and jetsam that move with every new tide’. ‘There are certain people who tell any person they meet things that should only be confided to friends, unburdening themselves of whatever is on their minds into any ear they please. Others again are shy of confiding in their closest friends, and would not even let themselves, if they could help it, into the secrets they keep hidden deep down inside themselves. We should do neither. Trusting everyone is as much a fault as trusting no one … Similarly, people who never relax and people who are invariably in a relaxed state merit your disapproval – the former as much as the latter. For a delight in bustling about is not industry – it is only the restless energy of a hunted mind. And the state of mind that looks on all activity as tiresome is not true repose, but a spineless inertia’. ‘The compulsions that lead us to talk when we should be silent and to be silent when we should speak, the compulsions that drive us to inappropriate actions and inappropriate inaction can only be dealt with when we find the courage to name them. Iwas unable to find the courage to name these compulsions and to deal with them until I knew (really knew!) that there is nothing in the world that can separate us from the love of God. The balanced life is a life liberated (or at least on the road to being liberated) from the unseen, unexamined compulsions and hidden forces that toss and turn us. Seneca understood the dangers of those inner forces and compulsions, although we have a real advantage over him in that we know something about God’s grace that can liberate us from them. 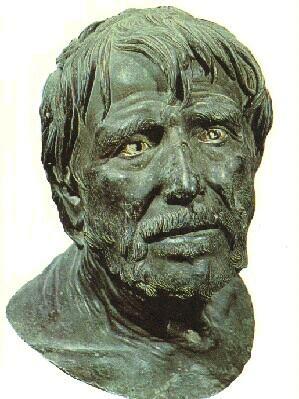 Seneca also understood the importance of friendship for living a balanced life. C.S. 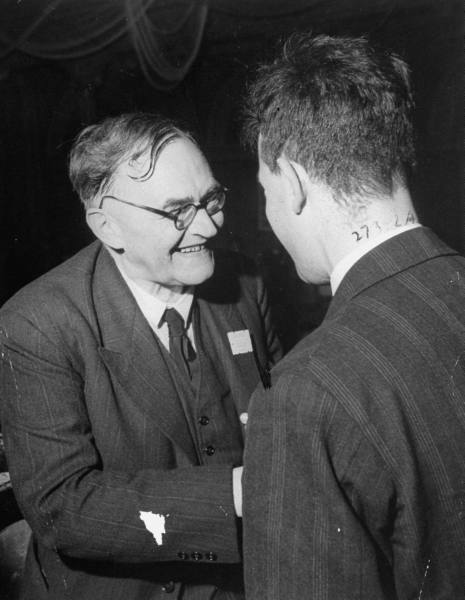 Lewis in a letter to his friend Arthur Greeves called friendship “the greatest of worldly goods.” Lewis told his friend, “Certainly to me [friendship] is the chief happiness of life. If I had to give a piece of advice to a young [person] about a place to live, I think I should say, ‘sacrifice almost everything to live where you can be near your friends”’. The calling to pastoral ministry can and often does separate us geographically – and sometimes in other ways too – from those we love. But we need friends. I remember Geoffrey Bingham once commenting that pastors are expected to be friends to all, but few have any friends of their own. Might it be that one of the main contributors to clergy burnout is a paucity of friends? Effective pastoral ministry is impossible apart from friendship precisely because human flourishing is impossible apart from friendship. Only non-human pastors can go it alone, those particularly uninterested in being associated with the imago dei in creation. While doing some study recently on 2 Timothy, I was struck by the depth of affection in Paul (or the author) for Timothy, who he remembers ‘constantly in [his] prayers night and day’ (1.3). Recalling Timothy’s tears, Paul writes of longing to see Timothy in order to be ‘filled with joy’ (1.4). Paul is concerned that Timothy may be embarrassed by his current state in prison and invites Timothy to join with him in ‘suffering for the gospel’ (1.8). Paul also notes with pain the abandonment of those in Asia who turned away from him (naming Phygelus and Hermogenes), and with thanksgiving the ‘household of Onesiphorus, because he often refreshed me and was not ashamed of my chain’, recalling that ‘when Onesiphorus arrived in Rome, he eagerly searched’ for Paul and found him (1.15–17). Throughout the letter, Paul proceeds to encourage Timothy to stay steadfast to the truth of the gospel, to ‘proclaim the message with persistence whether the time is favourable or unfavourable’ (4.2), and to resist the temptation to abandon the ministry of the word, reminding him that such a determination will come at cost, and that ‘all who want to live a godly life in Christ Jesus will be persecuted’ (3.12). It strikes me that this is the tone of a true friend and fellow worker. The letter closes with Paul’s personal appeal to Timothy to ‘do your best to come to me soon’ (4.9), ‘do your best to come before winter’ (4.21), and not only come yourself but also bring Mark along as well (4.11). Moreover, ‘when you come’, Paul writes, ‘bring the cloak that I left with Carpus at Troas, also the books, and above all the parchments’ (4.13). I repeat: Effective pastoral ministry is impossible apart from friendship (and possibly parchments!). ‘In his anxious care man has secured and bolted himself against God from the very outset. He thinks that he can and should deal with God as if He were not God but a schema or shadow which he has projected on the wall. Is it not inevitable, then, that he should not have hearing ears or seeing eyes for His self-revelation? How can he believe in Him and love Him and hope in Him and pray to Him, however earnestly he may be told, or tell himself, that it is good and right to do this, and however sincerely he may wish to do so? In his care he blocks up what is for him too open access to the fountain which flows for him. Care makes a man stupid. So one is a friend when they have ‘the freedom, the ability, to be spontaneously good to another – a voluntary friend of God and therefore of [others]. As such [a person] does not do anything alien or accidental. [One] is not “friendly” amongst other things – casually – when [one] gives [themselves] to God and [to their brother or sister. One] does that which is most proper to him [or her. One] loves in doing it’ (CD IV/2, 833). To return to Jinkins: Jinkins rightly notes that ‘friends keep us in balance. Friends keep us from taking ourselves too seriously. Often a friend’s laughter is a signpost pointing to our own absurdity, turning the light of grace on a fault so we can correct it. A friend may be the only person who loves you enough to read your sermon manuscript for the next week and tell you: “I know how you feel; but you shouldn’t say that in your sermon.” Or, “I agree with you and I’d be angry too; but don’t mail that letter.” Or, “I understand why you feel the way you do; but for God’s sake don’t do this.” On the high wire of life and Christian ministry, there are times when the net below us is unsure and the wire on which we balance has become frayed. Sometimes the only thing that we have to steady ourselves is a friend’s voice. The words may be spoken in reproof or in comfort. But if you know they are spoken in friendship, they may just save you from yourself’. ‘I am not really a Christian … I am too cautious to be a Christian. I can justify my caution, but so can the other fellow who is more cautious than I am. The whole Christian adventure is frustrated continually not so much by malice as by cowardice and reasonableness … A reasonable person adjusts his moral goal somewhere between Christ and Aristotle, between an ethic of love and an ethic of moderation. I hope there is more of Christ than of Aristotle in my position. But I would not be too sure of it’. 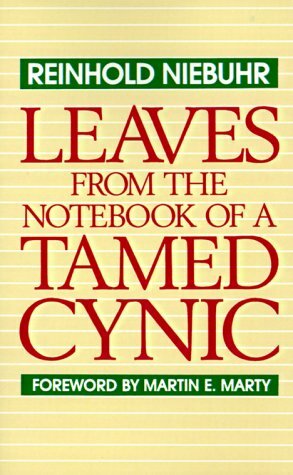 And later in this same diary, Niebuhr says: ‘It is almost impossible to be sane and Christian at the same time, and on the whole I have been more sane than Christian. I have said what I believe, but in my creed the divine madness of a gospel of love is qualified by considerations of moderation which I have called Aristotelian, but which an unfriendly critic might call opportunistic’. Most of us, I suspect, operate how Jinkins describes himself: as benefiting greatly from our reading of the Stoics, but preferring to dine with the Epicureans. Or what is probably more accurate is that we live in a tension between ‘the good life’ as defined by the ancient Greek philosophers and ‘the call of Jesus Christ’ to take up our cross and follow him. ‘There is indeed something of a “divine madness” about the gospel of Jesus Christ. There is an outlandish, outrageous, insane extravagance about God’s mercy that acts without reservation and without the expectation of getting anything in return. But it is precisely in this holy madness that God reveals his own humanity, and shares it with us’ (p. 125).